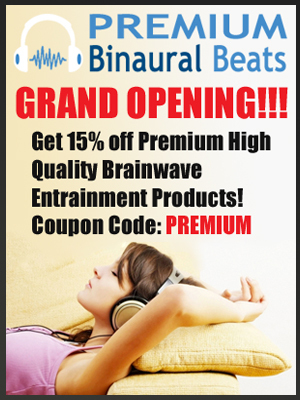 Binaural Beat – The binaural beat in this session uses a carrier frequency of 360hz. This is known as the “balance frequency” and brings sensations of joy and harmony. The carrier frequency has a binaural beat of 0.9hz, a low delta frequency associated with euphoria and relaxation. Isochronic Tone – The isochronic tone in this session uses a carrier frequency of 90hz. 90hz is associated with good feelings, well being, balance and security. The iso pulse is also set to the euphoric pulse of 0.9hz. The sounds are layered with relaxing harp music.